The general approach for treatment of obesity is to suggest a low calorie diet and increased physical activity. There are many weight loss programmes available on the market but an Ayurvedic approach for the obesity (or to loss weight) is completely different and much more result oriented. The main benefit of an Ayurvedic treatment is that there are no side effects. According to Ayurveda, Obesity is recognized as a disease called “Medoroga”. ‘Meda’ means fat and it is one of the seven Dhatu’s (seven tissues – Rasa, Rakta, Mamsa, Meda, Asthi, Majja, and Shukra) that are sequentially produced from food in the human body. Obesity is considered as a nutritional disorder produced, mainly, due to sedentary life-style. Step 1: A Full Consultation with our Ayurvedic Doctor: Shymala Ayurveda has in-house Ayurvedic doctors who will analyze the clients’ dosha and then prepare the whole programme. Because everybody has different body type, the doctors have to customize the programme accordingly and supervise it throughout. Step 2: Yoga, Meditation and Pranayama: At Shymala Ayurveda Spa, we promote yoga and meditation. Our weight loss programme combines the best Ayurvedic therapy with weight loss yoga and meditation. Yoga advocates a healthy life style with its specific techniques to clean the body from toxins and improve emotional and intellectual balance. It covers a broad spectrum of life. Besides physical aspects, it also covers emotional, intellectual and spiritual aspects of life, which are mostly ignored by modern science, when treating a patient. Certain types of Pranayama (breathing techniques) greatly help in cure of obesity. Meditation can reduce mental stress, which is also a cause for tendency of over-weight. This special yoga is taught exclusively to clients who have registered for weight loss programme. Special asanas are given to each individual to practice everyday. Remarkable difference can be seen if all the therapies and recommendations are followed. Yoga practice can range from 1-4 hours per day. Meditation strengthens your mind and helps you in keeping your resolve in losing weight. We make weight loss a most enjoyable process. Step 3: Special weight loss diet and recipes: A right diet is believed to be the most effective and natural way to keep one healthy. At Shymala Ayurveda Spa, a fresh Ayurvedic meal is prepared daily for each client who joins our special weight loss programmes. The menu, customised to each individual’s needs, is prepared and then supervised by an Ayurvedic doctor. Meals are made, as much as possible, from organic and fresh ingredients. No meal is served more than a few hours after being prepared. To help you to maintain a healthy weight after finishing the programme, our doctors provide you with special cooking recipes that can be easily prepared at your home. Step 4: Ayurvedic Therapies: There are three main types of therapy programmes. First one is 7 day Panchakarma programme, which includes: Ayurvedic Consultation , Udwartana, Colonic Therapy (Basti), Marma Abhyanga with Lymphatic Drainage Massage, Shirodhara, Swedana, and Reiki, Yoga, and an daily Ayurvedic meal. Second one is 5 day Basties (Colonic Therapy) which contains: Ayurvedic Consultation, Belly Massage, Lower Back Massage, 5 Oil Basties and 3 decoction Basties with Ayurvedic meal. Third one, 7 sessions of Udwartana which contains: Ayurvedic Consultation, and than Udwartana twice or once a week. Step 5: Ayurvedic Medicines: As we all know for any illness and maintenance of health, individual need some medicines. The medicines for the treatment of obesity contain the substance known as a Guggulu, which is responsible for reducing weight. Ayurveda uses natural products like Ayurvedic Plant Extracts and Decoctions in the preparation of medicines and these medicines are generally safer than chemical based medicines and drugs. Also, the Ayurvedic medicines have a longer history of use and hence, are more reliable. Step 6: A diet management and nutritional chart to keep you going: The goal of our programme is for you to maintain a normal healthy weight even after you return home, and not just for you to lose weight while you are here. We are not a commercial hotel or resort and we genuinely care that you remain healthy. 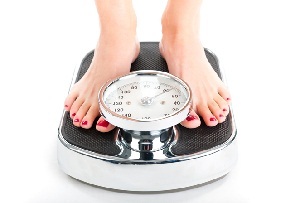 We therefore provide a lifetime support with maintaining your weight loss free of charge! The Ayurvedic Doctors are always available by e-mail or phone for your consultation.